HARRISBURG, Pa. (WPVI) -- Pennsylvania Attorney General Josh Shapiro announced Tuesday, first-degree felony charges against a Northampton County man for unlawful contact with a minor, attempted statutory sexual assault and criminal use of a communication facility. 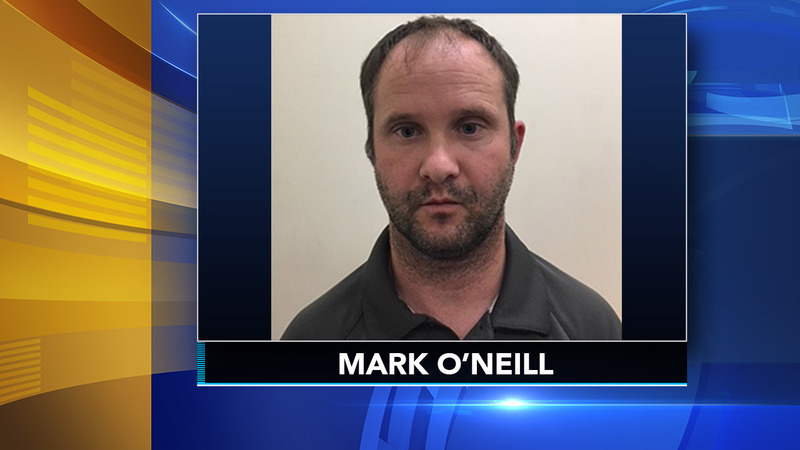 Thirty-six-year-old Mark O'Neill of Allentown was arrested over the weekend after attempting to meet an agent from the Office of Attorney General who was posing online as a 14-year-old female. O'Neill is employed as a racquetball and tennis coach for junior players, including female teen players, at Hillcrest Racquet Club in Reading. "This case is disturbing because the defendant regularly coaches young women the same age as the one he attempted to inappropriately proposition," Attorney General Josh Shapiro said. "Our agents and prosecutors are working relentlessly to get every perpetrator out of our communities and to keep Pennsylvania's children safe." The charges are a result of an online investigation where O'Neill was in communication with an undercover agent posing as a minor online over the course of three months. After it was made apparent she was a 14-year-old, O'Neill continued to ask for her address and solicited the child for unlawful sexual contact, officials say. On March 24, 2018, O'Neill made plans to meet the agent and was spotted at the pre-arranged meeting location. Agents from the Office of Attorney General took him into custody without incident. "My office will prosecute anyone that tries to prey on children to the fullest extent of the law," Attorney General Shapiro said. "Thanks to strong law enforcement collaboration between Bethlehem City Police Department, the Homeland Security Investigations and my office, we were able to take one more child predator off our the streets." The defendant was arraigned and his bail was set at $500,000.